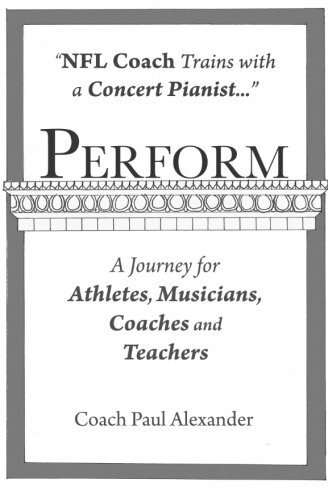 about PERFORM Veteran NFL Coach Paul Alexander trains with Concert Pianist Albert Muhlbock. Alexander experiences the unique role of being both the coach and the student of world-class performers. PRFORM is a journey to the competiitve stage. PERFORM offers insight into effective methods for learning, teaching and developing the essence for elite performance. PERFORM is dedicated to aspiring athletes, musicians, speakers, coaches, teachers, parents and their admirers."